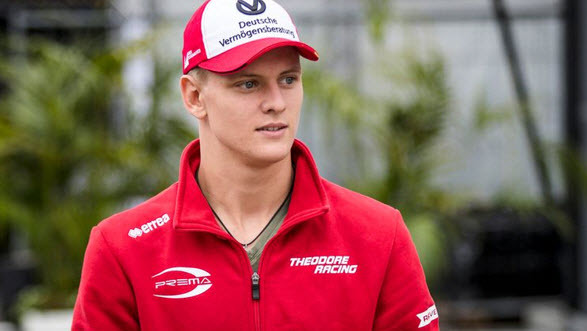 For those of you who don’t follow the motorsport world closely, Mick Schumacher is the son of 7-time world champion Michael Schumacher and has already had some amazing achievements in the world of racing. Now, his career takes the next step as he aims to join the Ferrari Driver Academy in 2019 and possibly make his way to Formula 1. The 19-year old joins the leader in Formula 2 for 2019, which is the class just before Formula 1. To most, it’s simply amazing how fast the racer has come up in rankings, and most would think it because of his father, but he has actually had a brilliant racing record, earning him the steps forward in his career. The step into the Ferrari Driver Academy is bound to hold major advantages for his career as this has been one of the best ways to get into Formula 1. We’ve seen multiple F1 drivers from the academy, including Charles Leclerc who is joining Vettel for the 2019 season in the Ferrari seat. Mick Schumacher is set to race within two tests with the Ferrari team, but even with this, there’s no guarantee that they’ll have an open position for him in Formula 1. However, the experience and result of his racing might just attract the attention of other F1 teams. Besides, his father won only 5 of the seven world titles with the Italian team. Mick attended the post-season test for Formula 1 in Abu Dhabi, and we haven’t heard anything about the Ferrari Driver Academy since. Up to now, nothing has been confirmed, and Mick’s manager has not responded to any commenting requests, leaving us to wait and see what the results are. We also see some other developments in the Ferrari Driver Academy as Pascal Wehrlein becomes the Ferrari development driver in 2019. The German driver is a former Mercedes youth driver, which ended last year and allows him to join the simulator team with Ferrari. Pascal is replacing Dani Kvyat who has decided to return to the Red Bull team as a junior for the season ahead. Mick Schumacher has been involved with the racing world since 2008, but to avoid being overwhelmed by the media due to his father, he ended with his maiden name, Mick Betsch. As with most racing drivers, he started with karting in 2011 and earned himself an 8th and then 7th position in KF3. During the KF3 Winter cup, the driver already managed to get himself to shine with a finish in third place, which was his position for the KF3 Rating DVM Championship as well. His major career started in 2017 when he took on the Formula 3 championship and scored himself one podium finish and a 12th position on the points board. The year after, in 2018, the racer got himself all the way up to win the championship, earning him the step up to Formula 2 for Prema Racing and getting involved with Ferrari Driver Academy.